Such a great release and probably my overall favorite drop by Trent. I might have to double dip on the repress, but my Nothing/Interscope double black vinyl set sounds really good. I have a copy with 17 tracks (bonus: Closer, Ruiner and The Becoming). It looks like an Azian version but all titles are printed in English as well. Can't find it anywhere on the internet and not on Discogs. Is anybody familiar with this release?? Been digging through this DVD and did not find any "high resolution audio files." all i found were DolbyDigital stereo and 5.1 unfortunately. Can someone upload a scanned picture of the hype sticker? really wish this would get repressed. I won't enter into any discussion with anybody. Just want to give my honest opinion to the general public an NIN fans alike. I think this production is a bit step forward into Trent Reznor' music composing. Yes, there are some weak compositions. Also, there are other ones very much alike what NIN is right now, and was then, before With Teeth. The opening track is a weak one, but, You know what you are?, The Collector, are perfect NIN aggressive approach to music. Even, The Hands that Feeds, Everyday is Exactly the Same and Only (sounds kind of commercial) are great tracks, in my opinion. Then, will keep on that aggressiveness with, Love is Not Enough, Getting Smaller, The Line Begins To Blur (this one sounds more like some music composed on The Fragile era). Need to point that all Dave Grohl Drums [Live] parts, were very good, to great, as so was Jereome Dillon' ones. The 2 closing tracks are not good enough for my taste. But, the extra track, the perfect one to close this With Teeth version, Home, is not musically that complicated, but I love it and, Jerome Dillon, did an excellent job on his drum parts, stands out, like a fist on your face, and Trent Reznor, adding his electric bass and guitar parts, plus a bit of [drone] treatments, makes this composition a perfect one. 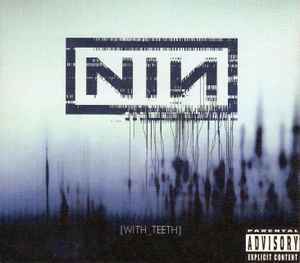 So, as a whole, it is not a perfect NIN album, but for those tracks mentioned above, it's worth investing on the, With Teeth [Limited Tour Edition] CD.